Promote with Top Hat Affiliates! New banners and assets uploaded regularly for your use, keeping your site looking consistently fresh. Awesome marketing assets provided, proven to convert every time. On demand reports and conversion statistics when you log in. Plus, we have Global offices offering you support around the clock. One of the leading Nektan casino brands on the market, RedSpins™ has over 300 top slot games and great live casino games. RedSpins™ Casino delivers games from industry gaming giants including Evolution Gaming, Microgaming and NYX to name a few. New games are added to the highly acclaimed Evolve casino lobby every week, bringing with them fantastic game related promotion and offers every time. With exclusive weekly, monthly and seasonal promotions there is always something fresh and exciting to entice new players to join the fun. RedSpins™ also has a fantastic VIP programme that their top players enjoy and benefit from every day. 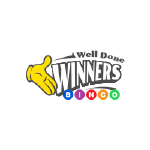 Sailor Bingo is renowned as one of the top converting Cozy Bingo sites in the UK. Being the first to offer exclusive games from gaming champions Microgaming; Sailor quickly climbed the slots ladder within the Best Bingo Network, initiating the rapid and continuous growth of online slots players on the Bingo network. Since then Sailor Bingo has consistently outperformed other brands and increased the average lifetime value of players on the platform. The team behind the scenes are using their proven powers and skill to generate more growth, are constantly increasing speed, quality and user experience, on the road to surpassing other Bingo platforms in the UK and Europe. Black Spins is the first online casino to focus on traffic from New Zealand, from design to games and payment methods and withdrawal processes. The casino is dual licensed in UK and Gibraltar it is also proven popular amongst UK players alike. 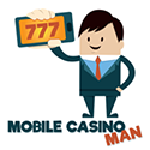 All games are from industry leading gaming developers and software providers including Microgaming, Red Tiger and NetEnt. 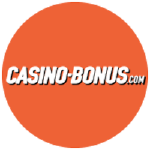 We have a constantly growing portfolio of slots games, currently topping over 600. Black Spins is a big hit for slots players. Chelsea Palace is a high-end casino attracting high roller and live casino players. CRM is done in house, offering players bespoke offers not found elsewhere. With the added benefit of still having Nektan network promotions and tournaments, allowing for bigger cash and prize draws. The casino lobby is filled with over 600 slot games, table games and live casino games from the best gaming providers, including Evolution Live Gaming. Chelsea Palace offers new players a tremendous welcome offer to start their journey. Table Top Hat Affiliates want our partners to have a good start to every month, so we have a no negative carry over. We know when you do well, we do well, so, what better way than to start fresh each month! Top Hat Affiliates want our partners to have a good start to every month, so we have a no negative carry over. We know when you do well, we do well, so, what better way than to start fresh each month! Every new partner will get 50% commission for the first three months they advertise our brands. 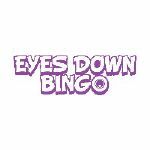 This gives our partners the opportunity to get to know us, our brands and how well your traffic converts in our Casino lobby and Bingo site. With the use of our powerful tracking and reporting tools, you will see what works best for you. After three months our partners earn a tier commission, the more traffic that deposits, the more commission you earn. 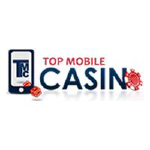 Top Hat Affiliates commission is for the lifetime of every player on each brand! Remember, your account manager will always be on hand, we want all our partners to be happy, 100% of the time. Our account managers will back you from day one. With Top Hats great marketing and conversion tools, a robust reporting and tracking system and with offices in both the UK and overseas, offering you 24 hour contact throughout the week you can start earning commission from day one. As an affiliate for our brands, you will have a dedicated account manager, who will be on hand to assist you whenever you need. 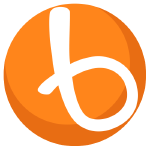 Based on the performance, players seem to really like Top Hat Affiliates’ brands so it’s great that they are sharing their casino stories on Bojoko. It’s also exciting to see that they are extending their offering with the new brand launches recently. We can recommend partnering up with Top Hat Affiliates!